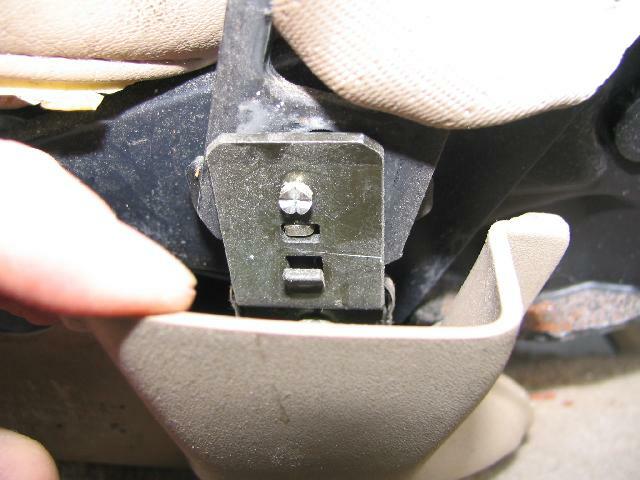 To remove the seat, remove the 4 main bolts. 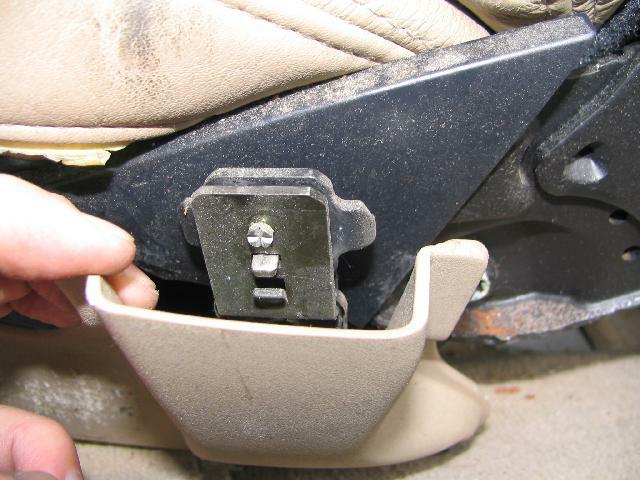 You do this by moving the seat all the way forward to get the rear bolts and then all the way backwards. 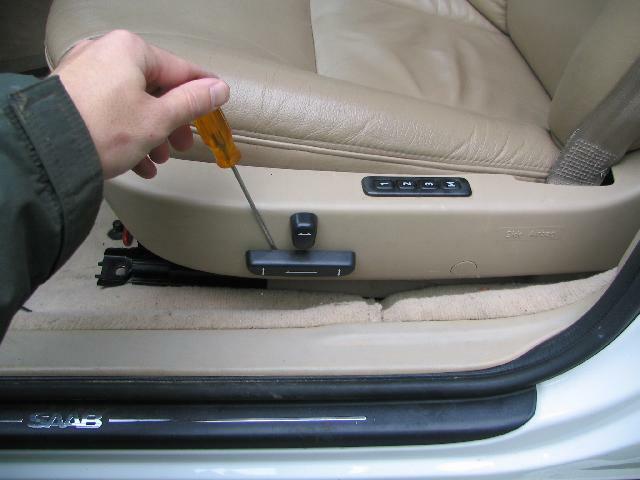 Now recline the seat all the way forward to make it easier to remove from the car. 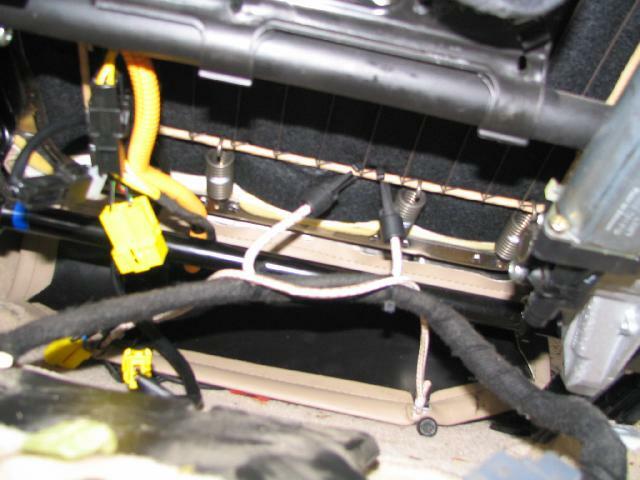 Before unplugging the main harness, you should disconnect the car battery. 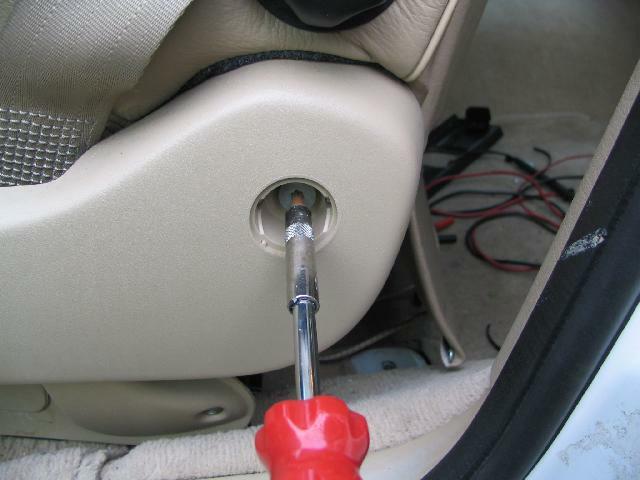 Hopefully by doing this you will not trigger the Air Bag light. 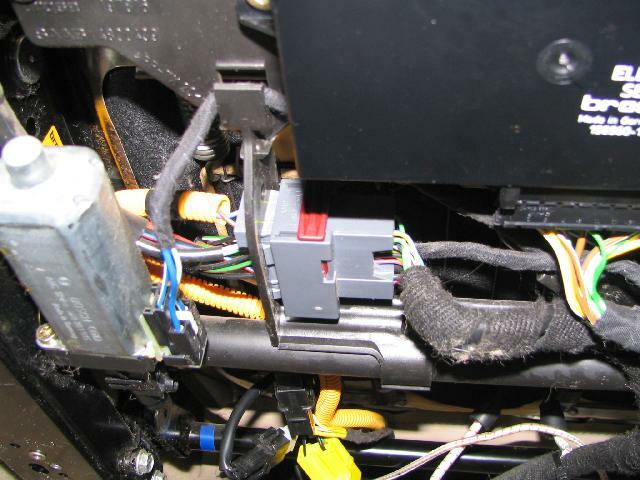 I'm not sure as I unplugged the main seat harness with the ignition on and triggered the light. 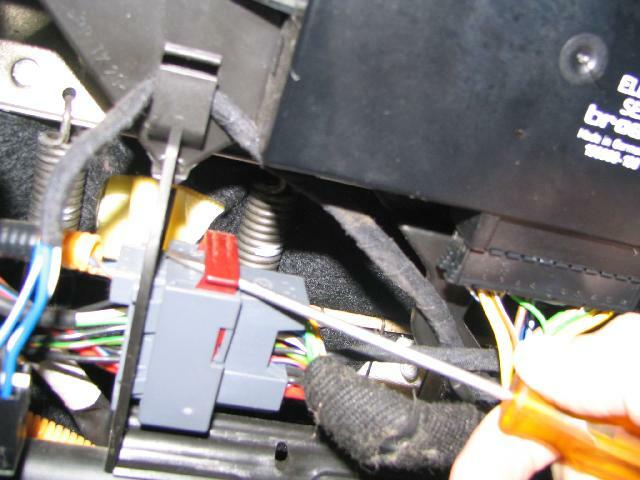 Pull off the main wiring harness by using a screw driver to pry on the red clip. 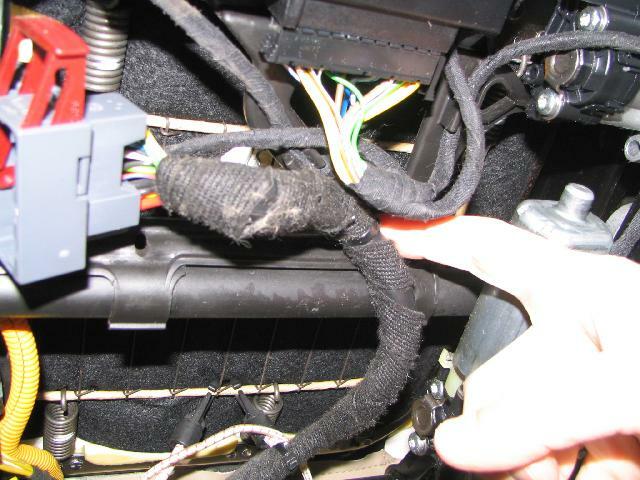 Undue the bungee cords and tie wraps holding it to the seat bottom. Before you can pull out the seat you need to pull off the seat belt. 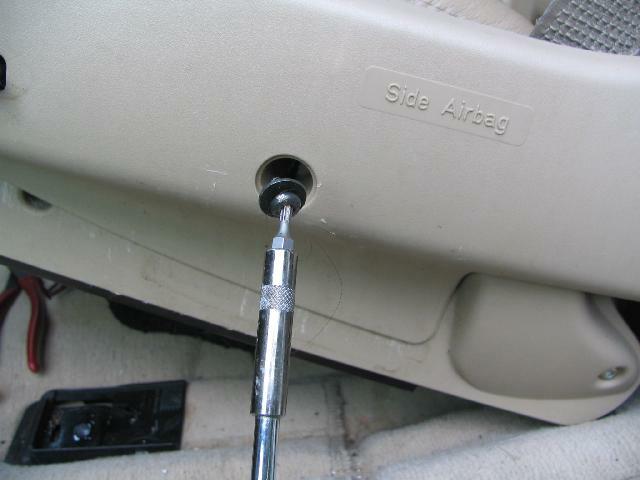 To do this you need to push in the tab and pull up on the belt. To make this easier, I decided to remove the whole side pod. You will have to remove it at some point, so I just did it now. First pull of the seat switches. 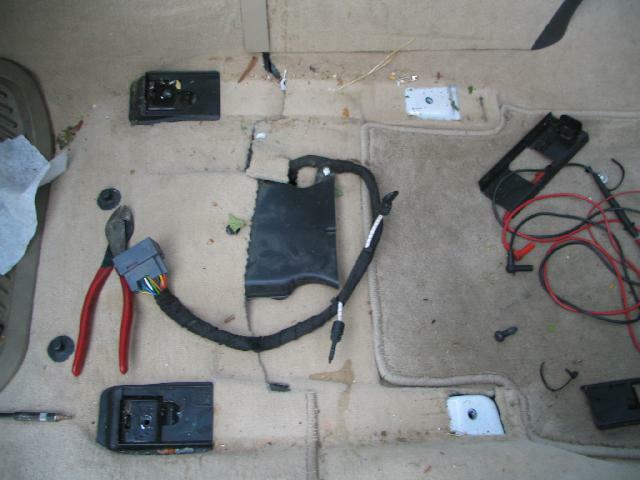 Just use a screwdriver and carefully pry off the switches. Next, pull up the memory switch and unplug that. There are 3 screws holding the side cover on. 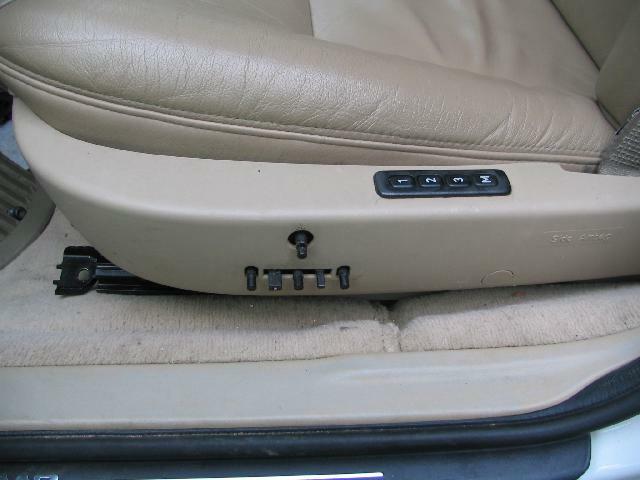 One screw is in the front under the seat. The other two are hiding behind screw cover. 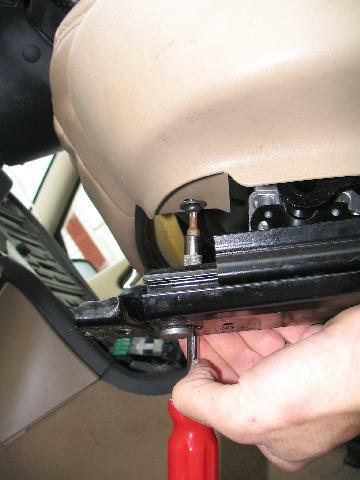 Pry out the two screw covers and remove all of the screws. Pull the cover down and forward to remove it. 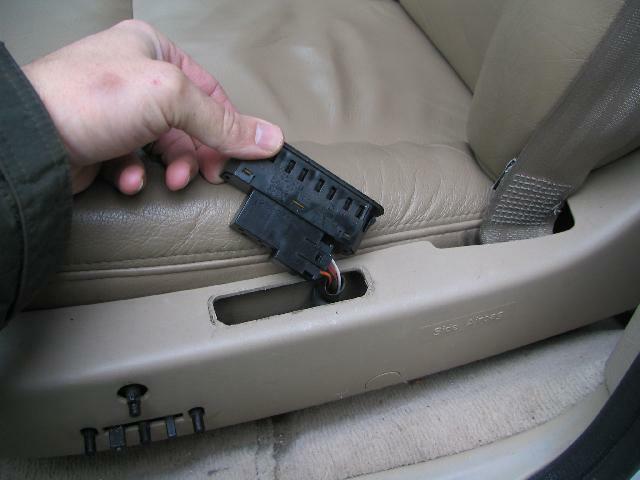 Now push in seat belt tab and pull out seat belt. Now you can pull out the seat! !